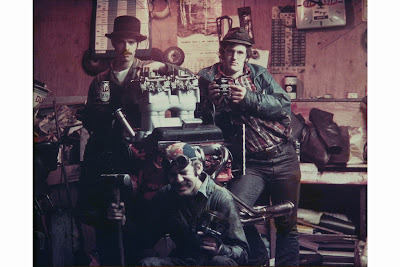 Can anyone recognize these 1960's "Garage Gang"
I will give you a hint, they are known as the Original Fast Guys. If you know the answer hit the comment button and tell me who you think they are. 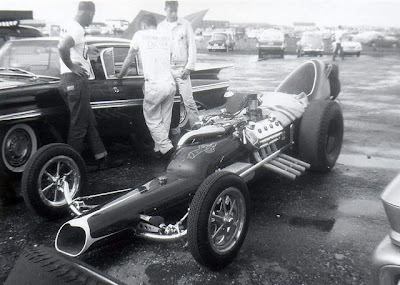 Jack Williams and the Syndicate Scuderia got permission to test this DIGGER before going to the Winternationals in California. Jack is a very talented machinist and racecar builder. He is still at it 50 years later. Ben of OTT Industries is signing off Bryson's install of the axles and hubs etc. Not many professionals like Ben around these days especially that will make house calls. Thanks guys for the special effort. You know your getting to the end of the build part when the Safety equipment is a priority. This parcel contained the chute and the neck support. All that's left to get is the explosion blanket for the transmission. This is a sore point with me as the transmission is Dodge diesel torqueflite, it is 5 feet in front of the cockpit and behind half a ton of steel Cummins plus 3/16 aircraft aluminum firewall. I have never seen a torqueflite spit parts out much less explode. Well that's my rant for today. JD Safety Had delivered in short time. 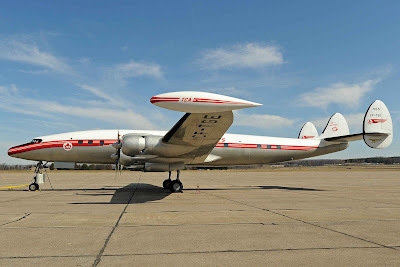 A restored beauty, the end of an era, when planes were planes and stewardesses were proud, young,f riendly and pretty. "Remember, NO Smoking until after take off"?? Want to see more? Email me at goldenhawkracing@yahoo.ca and I will send you the links. To keep this ship moving forward is a tough task when you are trying to juggle two businesses and family and home maint. Thankfully, Bryson has come to the project and is very steady, methodical and intelligent in his approach to details. Bryson works during the days and at nights comes to the Big Top to work mostly alone on the final assembly of each component. He often finds pieces that are in need of tweaking or some bits that have been over looked or damaged during the fitting and fabrication process. Takes his general direction from Werner and me but mostly he is thoughtfully ahead of us. THANK YOU BRYSON!!!! 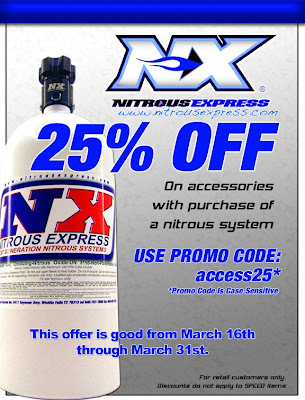 Be sure to call John at Chief Chassis for Nitrous Express and for Racecar repair and fabrication. John is dedicated to doing it right.